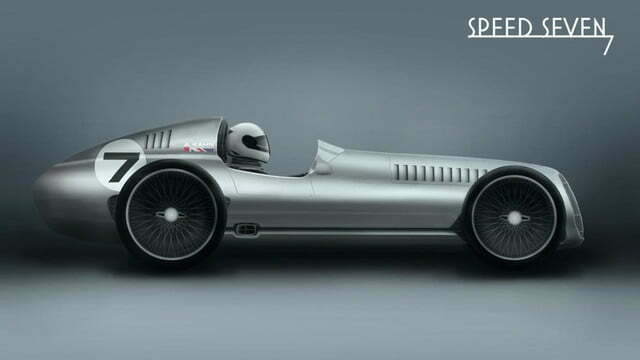 British tuner Kahn Design is pushing retro to the extreme with an open-top sports car dubbed Speed 7 whose design is heavily inspired by Grand Prix racers of the 1930s. A pair of computer-generated teaser images published by Kahn suggest the Speed 7 adopts a period-correct look with an extremely streamlined body, a tall and narrow grille up front, a long hood with vertical side vents and a short windshield. Fitted with wire wheels, the open-top racer depicted in the sketches wouldn’t look out of place in a black and white photo of the 1937 edition of the 24 hours of Le Mans. With space for a driver, a co-driver, and not much else, the Speed 7 appears to boast a simple, back-to-the-basics passenger compartment with plaid upholstery on the seats and a handful of gauges positioned right in the middle of the dashboard. The cockpit will borrow styling cues from both cars and airplanes. The Speed 7 will be built with modern components, though it’s too early to tell what kind of engine it will be powered by. 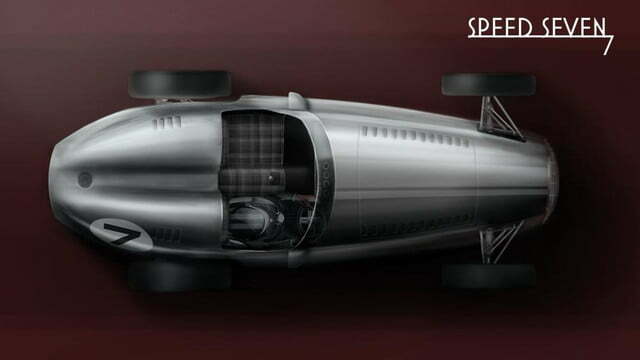 Kahn is still debating whether to build the racer out of aluminum or out of carbon fiber. The Speed 7 is being designed as a track car, which means it most likely won’t be street legal. Each example will be built by hand in England, and it will come with a numbered plaque as well as a complete book detailing the entire production process from start to finish. Interestingly, a range of period-correct clothing and accessories will be launched at about the same time as the Speed 7. Details about what the future holds for the Speed 7 are vague at best. It will be produced in limited numbers, and we wouldn’t be surprised to see it make a full debut at the Frankfurt Motor Show, but nothing is set in stone yet. All we know for sure is that Kahn is inviting British companies who want to participate in the project to speak up and get in touch. Acer brings its Liquid Jade Z and Liquid Z410 budget phones to the U.S.